How can we move beyond oil? The US is moving beyond coal, but when it comes to oil, the energy transition has only just begun, writes Justin Guay, Program Officer, Climate at the David and Lucile Packard Foundation. Oil still dominates the transport market – and the political landscape. According to Guay, to move beyond oil, there is only one solution: to embrace the opportunity of shared, autonomous, electrified mobility. Article co-authored with Anthony Eggert of ClimateWorks. President Obama made headlines recently by floating a $10 per barrel oil tax. This needs to be the opening salvo in a renewed effort to move the country beyond oil, but the effort also needs to be more ambitious. With the clock ticking on a two degree future climate activists need to consider innovative new efforts to drive vehicle electrification. That means taking a closer look at harnessing shared, electrified, autonomous vehicles that could reduce GHGs by up to 90%. 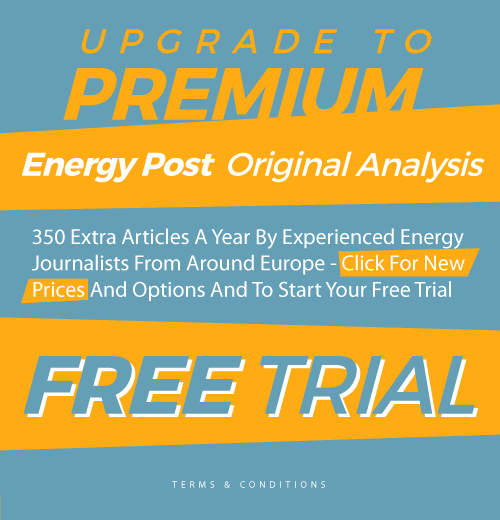 Even five years ago the most starry eyed unicorn chasing activists in the climate community wouldn’t have dreamed that, of all of the electricity projections, Greenpeace would be the most accurate with wind, solar and other clean technologies dominating coal in the market for the new generation capacity. We have so fundamentally remade the power sector economic and political landscape that even the IEA projects clean energy will constitute two thirds of all new capacity additions between now and 2020. In short, while far from done, we’re moving beyond coal. But when it comes to oil, we have only just begun. 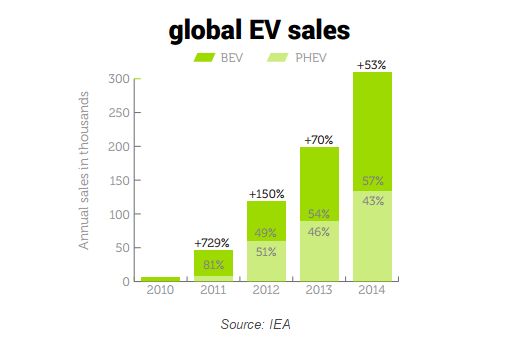 The EV market is growing rapidly but still representsless than 1% of all new vehicle sales in the United States. While the political establishment is slowly warming to the economic benefits and growing political power of renewable power, oil still dominates the political landscape for transportation (despite half the shale oil drillers in the US facing bankruptcythanks to plunging oil prices). You need look no further than California’s landmark legislation SB 350 where oil companies dramatically outspent their opponents on their way to completely eliminating a goal to reduce oil consumption by 50%. Indeed, nobody today could imagine a future for oil that looks anything like coal today. But in the midst of all of this turmoil a revolution is brewing that could dramatically upend our oil use driven by the confluence of three separate but powerful trends: 1) The advent of the sharing economy including Transportation Network Companies (TNCs); 2) Long range affordable Electric Vehicles; and 3) Autonomous Vehicles. But how could this utopian future eliminate the need for oil? Because sharing and automation are like a turbocharger for transportation electrification that dramatically impacts the most critical variable — time. Prevailing wisdom is that 15% of new car sales are an inflection point that heralds the “arrival” of a new technology. The problem is we are now at less than 1% and average fleet turnover is 15 years. So even if we convince everyone that EV’s are indeed the future getting them to ditch their clunker is going to take time. That’s why even an optimistic view puts mainstream EV deployment on a time frame of 2025-2030 or beyond. But shared, autonomous vehicles can short-circuit the glacial speed of fleet turnover by greatly increasing their utilization. Current vehicles sit parked ~95% of the time, one of the most expensive and inefficient capital assets that people currently own. Put them to work in a shared fleet, and what normally takes 15 years could drop to as little as three to four years. The increased utilization also reduces the cost. For example, Morgan Stanley estimates that autonomous vehicles could generate savings in the U.S. alone of $1.3 trillion per year from productivity gains, avoided accidents, and fuel savings. The indirect impact could be two to three times as much from, for example, reduced need for vehicles, parking, insurance and police. 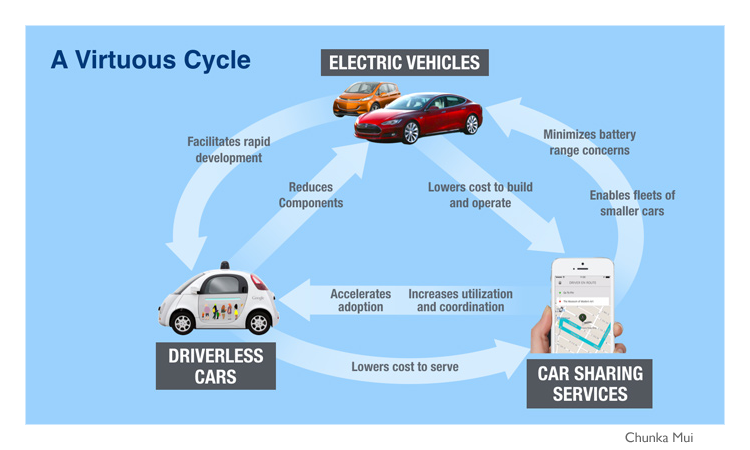 Shared, driverless cars allocated using smart technology could reduce per mile costs from ~$0.60/mile to as low as $0.15/mile due to greater efficiency, reduced fuel costs, increased capacity and utilization rates. That means shared AV’s could drive electrification where our current efforts have left us competing at the margin. That’s incredibly important because today, despite growing interest, we still struggle to get dealers to stock and sell these cars. But in a shared autonomous future, vehicles that have lower operating and maintenance costs will have an inherent advantage, a sweet spot for EVs which will only get sweeter as battery prices fall. Ironically, this could also contribute to a more equitable future as shared, electrified AV’s, integrate with existing efforts to provide better transit, biking and walking, and expand consumer choice for affordable mobility in cities. It could also help improve the business model and efficiency of transit by offering lower-cost solutions for low-capacity routes and schedules. Imagine subsidized or free vouchers for shared autonomous Lyft or Uber rides for low income communities. It would turn the prevailing wisdom that these tech giants are for the 1% on its head. Which brings us to the important consideration — its impact on the politics of climate. A shared, electrified, autonomous world would fundamentally redraw the battle lines and shake up political alliances in a way we’ve not seen since the beginning of the age of oil. 21st Century cash rich tech companies and utilities would suddenly line up on the right side of climate policy debates putting the oil industry on its heels. But is there any chance this happens beyond the silicon valley bubble? For that we need some perspective. Remember even a few years ago, TNCs such as Uber and Lyft did not exist. Now, they operate in hundreds of cities, host over a million rides daily, and together are valued at over $50 billion. Over the life of the vehicles used in these fleets, the cost of the driver is the most expensive piece – $250,000 or more. Autonomous driving systems are expected to cost a fraction of that which makes figuring out autonomy job number one as they continue to grow. At the same time, AV’s are being pursued by a host of powerful companies with cash reserves greater than dozens of EU countries. That includes the likes of Apple, Google, Tesla, and Uber amongst others. Google for instance has been testing fully autonomous self-driving cars on the roads for years with over a million miles accumulated while Tesla’s chief executive predicts that self-driving vehicles will be available to buy within three years. Even the federal government is getting into the game – in January 2016 President Obama proposed $4 billion over 10 years to fund pilot projects that help accelerate the development and adoption of safe vehicle automation. Meanwhile connected, electric, autonomous vehicles are a key part of the U.S. Department of Transportation’s “Smart Cities Challenge” in partnership with Vulcan. But none of this is assured. Technology is unlikely to be the barrier to a shared, autonomous, electrified future. It’s far more likely that either the lack of good policy or worse, well-meaning but perverse policy will stall this revolution. A prime example is the recent proposal from the California DMV to force cars utilizing autonomous technology to include a driver at all times. This of course eliminates the ability to easily share the vehicle. And barriers to the adoption of shared, electric, autonomous vehicles affect the one variable that matters — time. By deploying regulations that inhibit or slow the adoption of these technologies we are extending the age of oil and the dramatic levels of carbon emissions associated. Policy is important not just to smooth the way for new mobility but to ensure its benefits are widely shared. A future that transitions from the ‘horseless carriage’ to the ‘driverless car’ will have profound impact on many sectors within our economy. Policy is required for a just transition that maximizes the benefits and ensures that the socio-economic disparity that already exists within our current transportation system is not exacerbated. Similarly, just because these trends reinforce each other doesn’t mean they will all advance together. Indeed, without affordable long-range electric vehicles we could see little to no reduction in oil consumption, especially if existing gas engines become the de facto standard for future autonomous Uber rides. So we stand at a crossroads between marginal EV growth, a dystopian future of fleets of gas propelled autonomous cars, and a shared, autonomous, electrified future. Only one is compatible with a safe climate and it’s up to us to seize it. Justin Guay (@Guay_jguay) is Program Officer, Climate at the David and Lucile Packard Foundation. Before this he was head of the Beyond Coal to Clean Energy work for the Sierra Club’s International Climate Program. Anthony Eggert is Oil Campaign Director at the US-based NGO ClimateWorks. This article was first published on The Huffington Post and is republished here with permission from the authors. “Policy” is not a magic wand. At best, it can be an enabler, and usually it lags, rather than leads, the uptake of technology by the general public. People, not government policy, drove the rapid uptake of the internet, social media and smart phones. Affordability, accessibility and appeal will be needed for electric vehicles and autonomous vehicles to become sufficiently popular that their owners and aspiring owners will support or demand policy changes to smooth the way. Hybrid vehicles, despite the hype, have still not achieved a high market share. They are favoured by people and corporate fleet buyers who want to make an ideological point, but are simply not regarded as good value by most car buyers. Electric and autonomous vehicles are not currently affordable, accessible or appealing enough to attract the mass market buyer. Shared car ownership appeals to only a specific demographic for a number of reasons. We will have a mixed fleet for many decades (in fact, I don’t think I’ve heard anyone yet talk about electric, autonomous motorcycles). Some people will never embrace the loss of personal control associated with autonomous vehicles or shared ownership (probably the same people who detest public transport and for similar reasons). Don’t rely on policy to drive change – focus on psychology! This article was corrected on 14 March. The original version stated that Justin Guay worked for the Sierra Club. That was his previous job. He now works for the David and Lucille Packard Foundation.